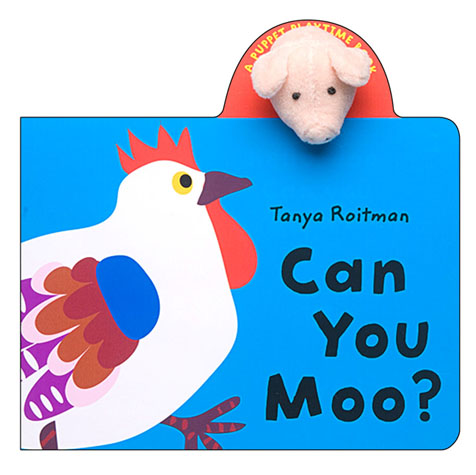 In "Can You Moo?," a pig finger puppet asks animal after animal if each can moo. Along the way, she finds out what sound each animal can make. Simple text, filled with questions and animal sounds, will encourage interaction between parent and child. Bright, lively illustrations from Tanya Roitman will add energy and fun to reading time. Children are sure to be delighted as they learn about animals, sounds, and facial expressions in this interactive puppet book.